Property management can be a difficult job but managing property with Dream Builders Realty is a breeze. As a property manager, we know you must deal with complaints, handle maintenance requests, file paperwork and much more. Property managers worry about overlooking information in the hustle and bustle which could lead to losing a tenant. Our goal is to provide the resources property managers need to best handle everything from A to Z when it comes to providing a quality experience for their tenants before, during and after the recruitment process. Our Realtors® will ensure that you have everything you need for successful Orlando property management. Tim Weisheyer and his team focus on representing the best interests of Orlando property managers. Their expertise saves property managers time and money. On top of that, they relieve the stress of managing properties and make the process more enjoyable. 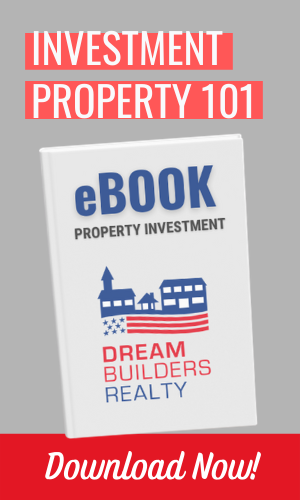 Take advantage of the knowledge provided by Dream Builders Realty and be successful in your property management. Although this may sound like a lot, our team at Dream Builders Realty is ready to help you find what will help you in property management. We know how important it is to be successful in your management, and we know what it takes to make your management process as easy and beneficial as possible. To begin in property management, the manager must have an understanding of operating expenses and budgeting. What should the rent be set at? Are there certain factors that affect the rent? What are other renters charging? Understanding financial statements, profitability, income taxes, and budgeting are all very important for the property manager. Along with budgets, property managers must understand security deposits. What can be collected as a security deposit? Does it need to be kept in an interest-bearing account? These are important things to keep in mind when coming to terms with the security deposit with the tenant. By following the above practices, you will find that you have satisfied tenants, higher occupancy rates, decreased marketing costs, and a higher return on investments. Along with managing the tenants, the property manager must also manage the physical property as well. It is important to maintain relationships with contractors and repair companies to ensure excellent and efficient repairs to the property. Along with repairing the property, keeping the property clean and functioning is an important factor of property management. Landscaping, electricity, plumbing, appliances and the overall appearance of the property are all a part of the physical property. There are many different reporting requirements that must be met for federal, state and local governments when it comes to property management. At Dream Builders Realty, we are familiar with the laws and regulations required on all levels of jurisdiction. Risk management is, of course, very important. A successful property manager will plan for problems, keep excellent files and records of every activity, and assess these functions to determine if anything needs to be changed. Informative: They will educate you about the home buying process. Motivated to Help You: They will learn about your needs and wants. Efficient: They will narrow your search quickly. Excellent Negotiator: They will get you the best price. Detail-Oriented: They will make deadlines and read the fine print. Problem Solver: They will fix whatever problems may arise. Notify tenants if you must enter their property. Have all notices or warnings in writing. Keep notes of conversations with tenants. Just by taking the extra step of writing things down, you will be less likely to encounter misunderstandings, confrontations, or difficulties with tenants. You’ve done it! You have become a successful property manager. By following these tips and by discussing your next steps with your Dream Builders Realtor®, you will ensure that your property is a profitable and enjoyable investment.